The PNE Prize Home lottery is an annual sweepstakes hosted by the Pacific National Exhibition in Vancouver, BC. 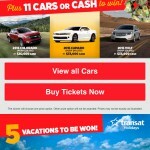 This sweepstakes is widely advertised throughout BC using several different types of media with a strong focus on email campaigns. 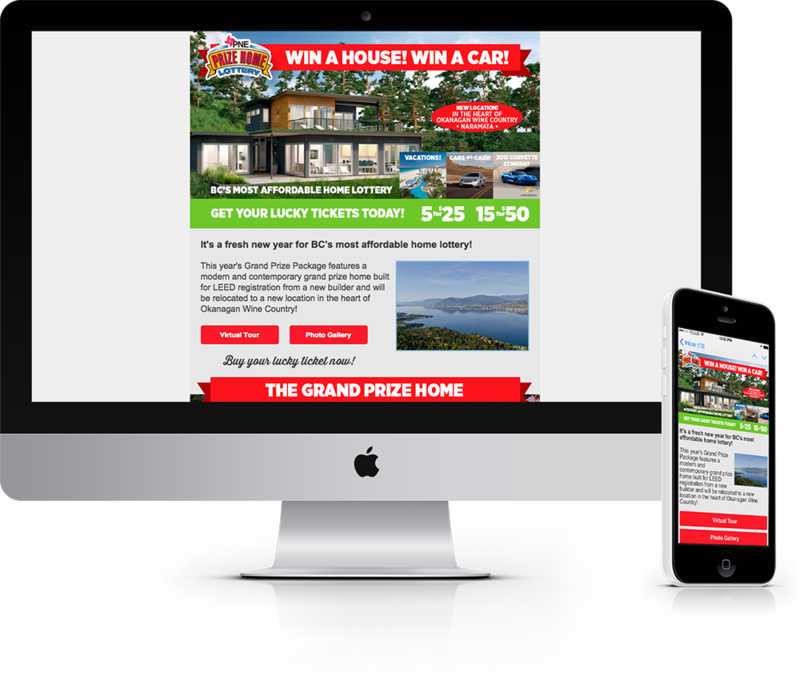 I work closely with the PNE to design, develop and deploy responsive email messages for the Prize Home Lottery that look great on both desktop email clients and mobile email clients. 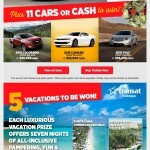 This ensures the best possible user experience from the moment they receive the message.